A trip to Belgium from ordinary villages where Black Metal concerts take place, violent and brutal rock with ambiguous messages. A look at the music genre Black Metal, containing interviews with bands such as Watain, Ondskapt, Mordichrist and many more. It's the things we run from that hurt us the most. 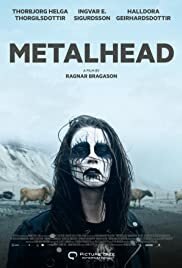 It's not often I see Icelandic movies available let alone ones that peak my interest so I rushed to see Metalhead first opportunity I got. Initially I wasn't sure what to make of it but it didn't take me long to get engrossed into this fascinating little tale. With strong performances from the outset, a gripping highly original unique storyline & great soundtrack this is a piece of world cinema well worth anyone's time.